Aroma: Orange liquor overwhelms the other more subtle cacao smells. It’s actually pretty strong and reminds me of “orangettes” a orange paste covered with chocolate candy I used to eat as a kid. 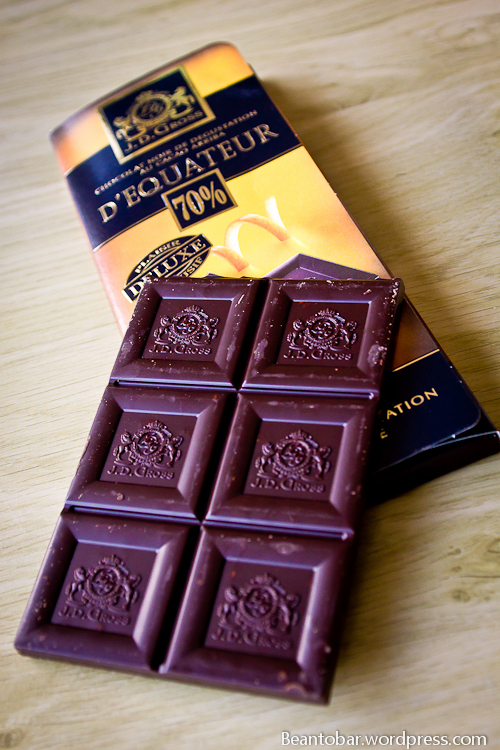 Taste: The 70% cacao delivers a nice cacao taste. The mouthfeel is far less fat than the 81% I tried recently, which is absolutely a good thing. When melting, a subtle orange taste enrobes the chocolate flavor. 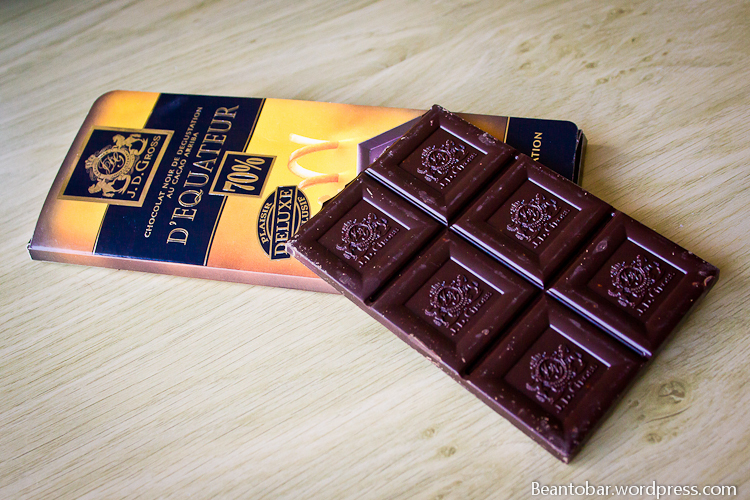 This is how I like this type of chocolate, you need to taste the added ingredients combined with the cacao without smothering it. The preserved orange peel pieces are distributed nicely and add an extra zing when you bite them. There’s enough free chocolate to counter those stronger moments, mixing into a well balanced flavour. 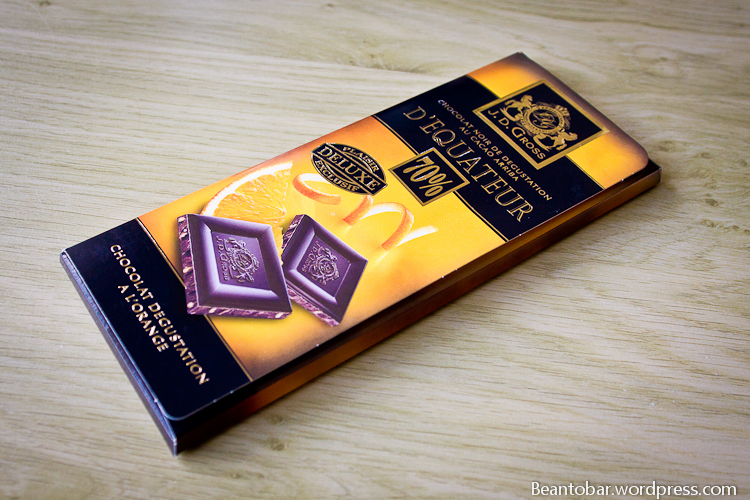 You actually have to chew this chocolate, as otherwise your left with the orange pieces in your mouth once the chocolate has melted. The aftertaste never is especially long or strong in JD Gross products, but in this bar the orange even seems to shorten it. What’s left is a more candylike sweetness. As far as Chocolate-orange bars go, this one is pretty enjoyable!